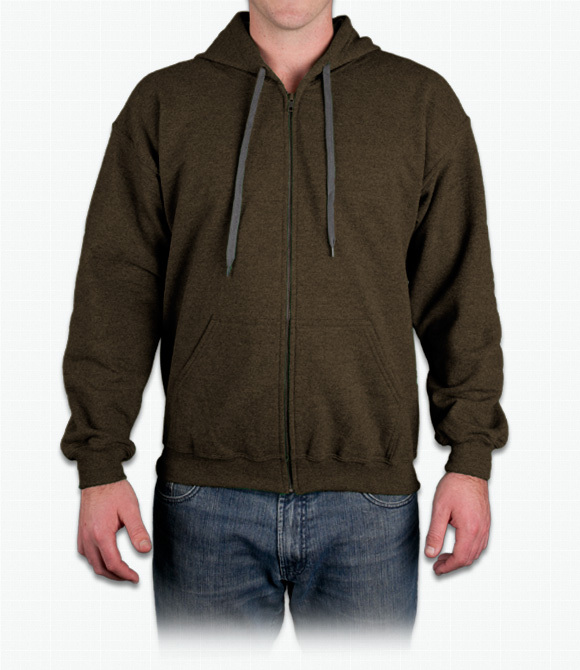 Higher fashion and quality than your average Gildan hoodie. Vintage heather adds to the look. "Everyone loves the soft inner lining. I like my zipper jackets thicker, but no one has complained. " "They're a bit big in sizing compared to other brands. The shoulders are droopy on some people. The thickness seems good. Probably would not order these again."